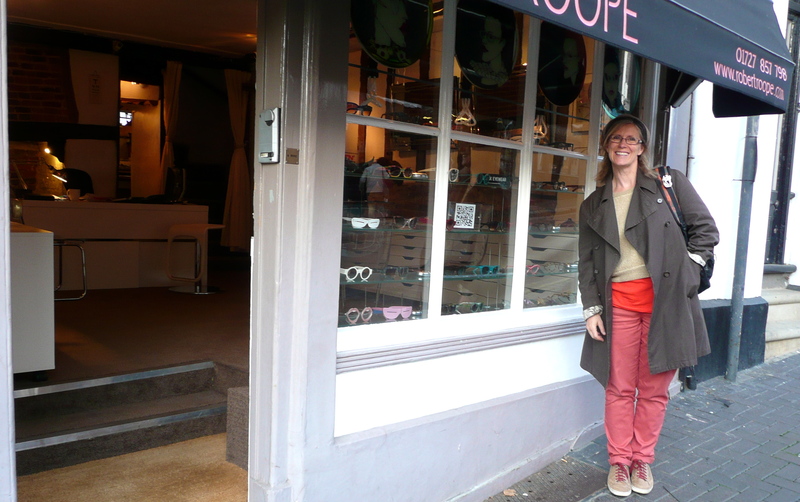 Earlier this week I went out to Snalbans, (that’s St. Albans to you) not far on the train, to a fabbo opticians and frame makers called Robert Roope, who also have a really lovely website if you fancy some new trendy bins ( glasses). What lovely people! If your ‘posh and becks’ ( specs) are feeling a bit old and tired this is the place to go , or you can do the whole thing on line, if you have your prescription. I had a right old time last year at Specsavers as I had to have my prescription done 4 times, I kept banging into things,….3 times out of four it was not the same, and they kept sending my bins away and forgetting the coating or the reactolight…etc. 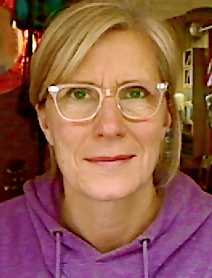 I went into Robert Roope as I had gone to their website and chosen a pair of frames ( ekhibit one melud) but I thought they maybe were just a little bit too Andy Warholy, and when I asked a mate if she thought they were good, her top lip tensed, as she told me they were great, which is what mine does if I am lying – oh no the secret is out… (she might have just had top-lip cramp, you never know…hope you are laughing CM!) 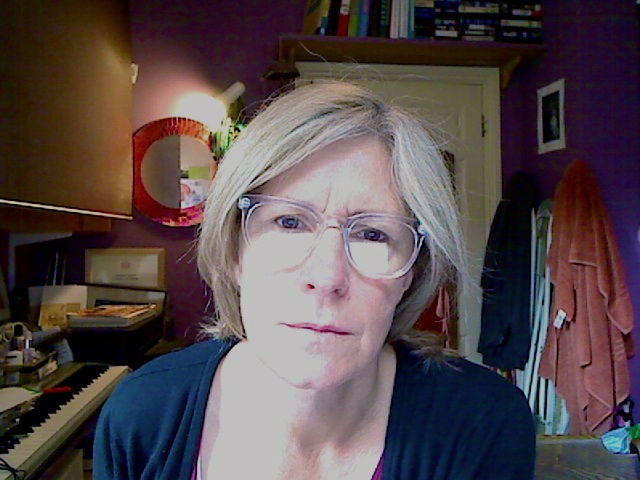 So I thought …go to the shop and try the other sort you like – same but a little smaller, then you can get the lenses done too… and I did (exhibit two me lud). Now you might think that pair one and pair two look the same, but actually the camera on my computer is a bit fish eye, as pair number definitely look smaller in real life, and are just like old National Health glasses, which just tickles my fancy it does. I cannot wait to put a bit of sticking plaster on the bridge! There is an up and a down to these new ‘posh and becks’ though. The lenses make my eyes look bigger which is a plus, but the magnifying also magnifies any puffiness or wrinkly, crepy bits round my eyes, so it is win, lose…bit like life really …ha ha! I just love them. And they arrived in the post 3 days after I went and tried them on! 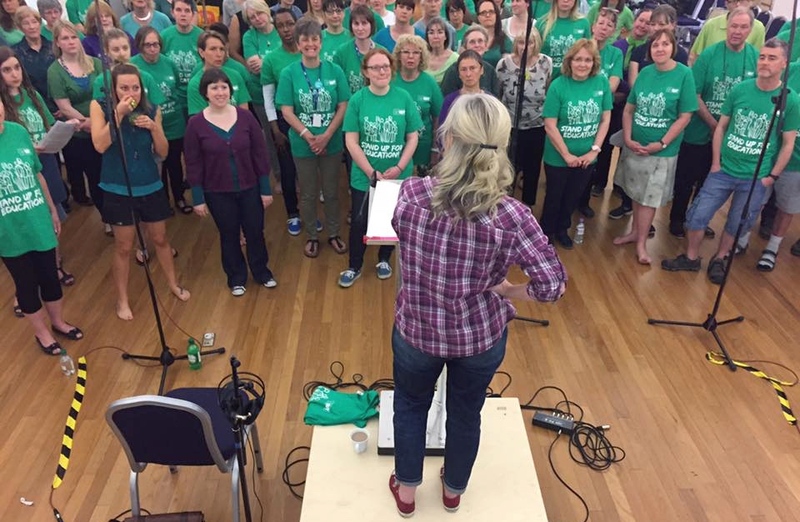 Specsavers ‘they will be ready in two weeks if we remember to call you’…look and learn. I am shocking myself when I say this, as it has never ever happened before in my entire life, but I sorted out my cds yesterday and put them all in really proper alphabetical order! 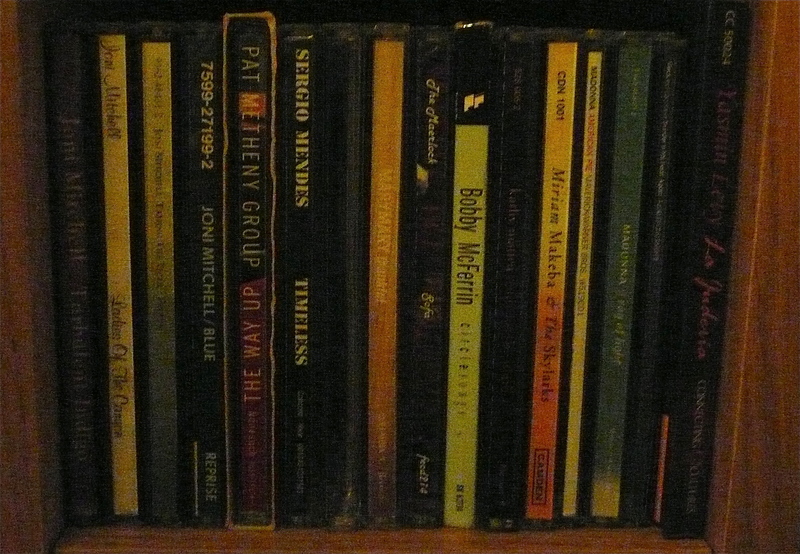 I found quite a few shockers which got sent to the charity shop and several that I had never even listened to. My work cds are still all in bits, but it is a start. There were more cds beginning with B and S -I made sure to file artists by their surname and bands by the first name. There was nothing in the “V” section …so today , something beginning with “V”. When this came out we all marvelled. Donna Summer did a good job of it too, but it was Jon Anderson, from Yes and Vangelis who wrote and recorded it first. Let us compare and contrast today too! Lord alive! Once upon a (very long time ago) RR was my opticians too! It’s where I got the (now trendy again…) ’80s look back in the late ’70s/ early ’80s (Simon Bates teardrop glasses and little round, tortoiseshell ones…..all completely unsuited to my round, chubby fizzog!). Memories….thank you G!